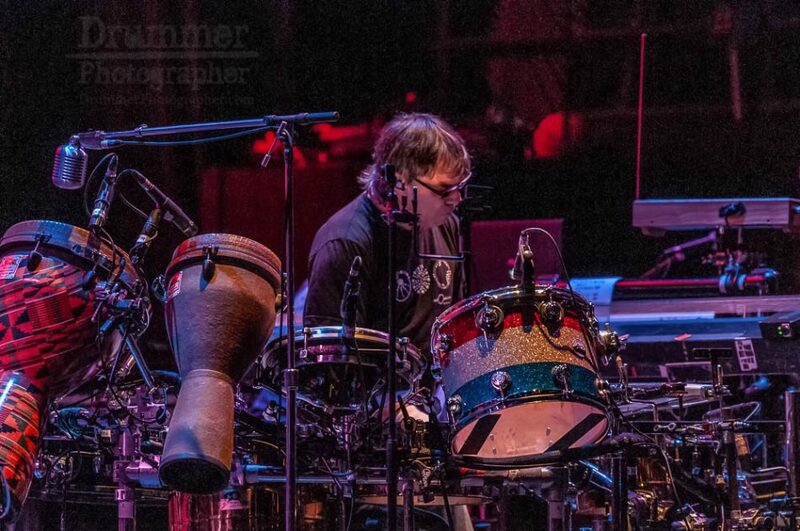 Best known as a drummer in the renowned expedition into the soul and spirit of rock and roll that is the Grateful Dead, multi-Grammy winner Mickey Hartis also an accomplished writer, energetic painter, restless explorer, and an acclaimed expert on the history and mythology of drums. A true original, armed with an inventor’s audacious curiosity, Hart boldly seeks to break the rhythm code of the universe and investigate its deepest vibrations. Hart’s fascination with rhythm has driven him to seek sound in unexpected places. 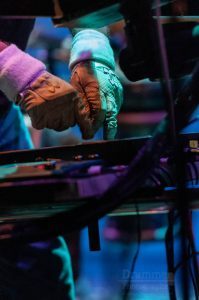 He explored th e sounds of humanity’s earliest music with his groundbreaking At The Edge(1990), and gathered the world’s greatest percussion heavyweights to collaborate on the groundbreaking Planet Drum. 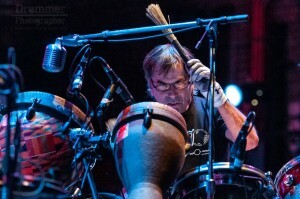 Both recordings were partner projects with his critically-acclaimed books for HarperSanFrancisco – Drumming At The Edge Of Magic and Planet Drum. His 1991 album Planet Drum went on to win the first-ever Grammy award in the World Music category. He would dominate the award category again in 2008 with his Global Drum Project. Hart has collaborated with astrophysicists to create music reflecting the origins of the universe. He recorded vibrations from the Golden Gate Bridge — which he described as a giant wind harp — and collected data from stem cells, heartbeats, and brainwaves in order to produce compositions. These pursuits culminated in two recordings: Mysterium Tremendum (2012), using sounds from the cosmos via NASA, and Superorganism (2013), with sounds sourced directly from electrical signals in Hart’s own brain. His writings have also documented a lifelong fascination with the history and mythology of music. Hart’s books include Drumming at the Edge of Magic, Planet Drum (Harper SanFrancisco); Spirit into Sound: The Magic of Music (Grateful Dead Books), and Songcatchers: In Search of the World’s Music (National Geographic). Drum set, gong, tubular bells, tambourine, timpani, bongos, timbales, maracas, bass drum, snare drum, triangle, güiro, djembe, castanets, didgeridoo, glockenspiel, cymbals, surdo, saron, beats, tar, berimbau, kalimba, cowbell, rattle, shekere, rainstick, agogo bells, bells, wood block, taragat, balafon, tarang, gourd, clacker, bombo, dumbek, tom-toms, caxixi, water gong, talking drum, blaster beam, pan flute.